Combining public transport with a boat trip is the ideal way to discover the Netherlands of the 18th century. This app is your free guide. 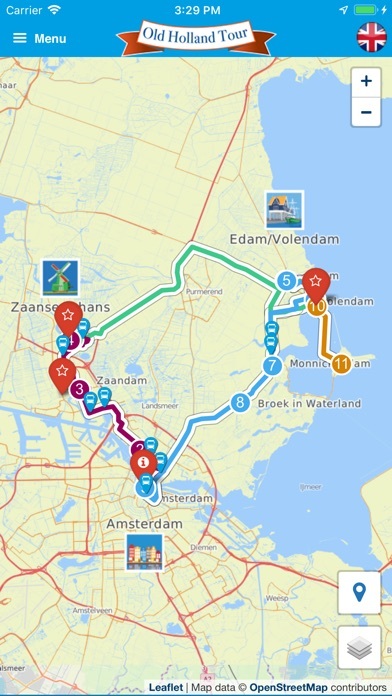 Get on board at Amsterdam Central Station and visit Zaandam, Zaanse Schans, Volendam, Edam, Marken, Monnickendam and Broek in Waterland. We offer free Wi-Fi. This app contains: -	The hop on hop off locations -	View our busses and boats real-time on the map -	Departure times per stop (every 10 minutes) -	Description of points of interest along the route -	Walks with audio tour along the route -	Ticket sales points -	Available in 8 languages: English, German, Spanish, Italian, Portuguese, French, Chinese and Dutch An affordable and fun way to discover Old Holland! How does it work? 1. Start your tour at Amsterdam Central Station. You can find our R-net buses on the bus platform on the IJzijde (waterfront). 2. Check our app for ticket sales points. Children up to 12 years travel at reduced price. 3. Decide on a direction. You can choose different ways to tour around. 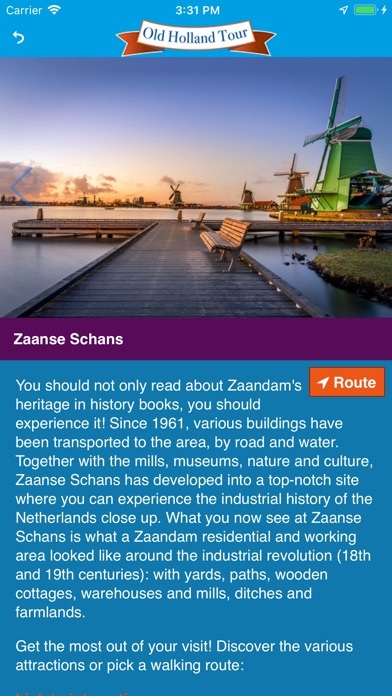 If you want to go to the Zaanse Schans first, you can hop on bus 391. 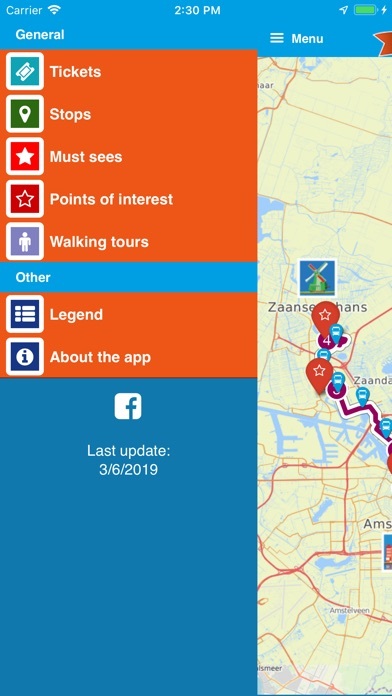 Do you want to go to the Zaanse Schans as quickly as possible? Then take the Express service 891. 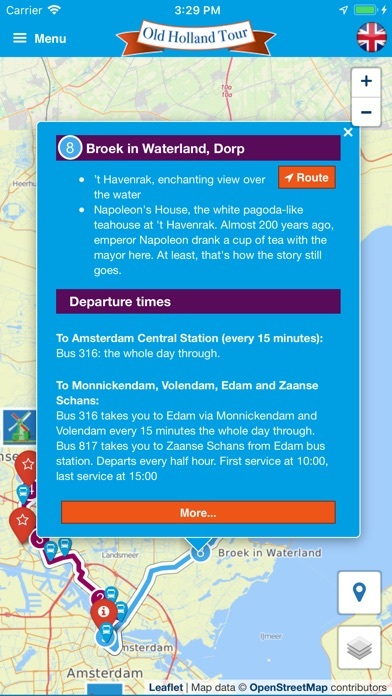 Prefer to visit Edam / Volendam first? Then take bus 316. Our buses depart every 15 minutes. 4. This app will be your personal travel assistant. 5. Hop on and off our buses as much as you like. 6. Board our boat (the MarkenExpress) in Volendam and travel to Marken in 20 minutes. 7. Enjoy the tour!